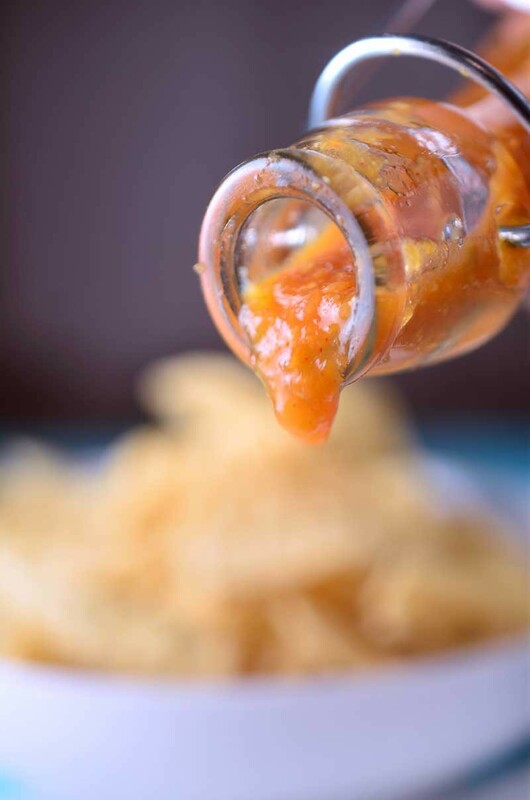 Habanero hot sauce is a homemade hot sauce, bursting with spicy flavor. 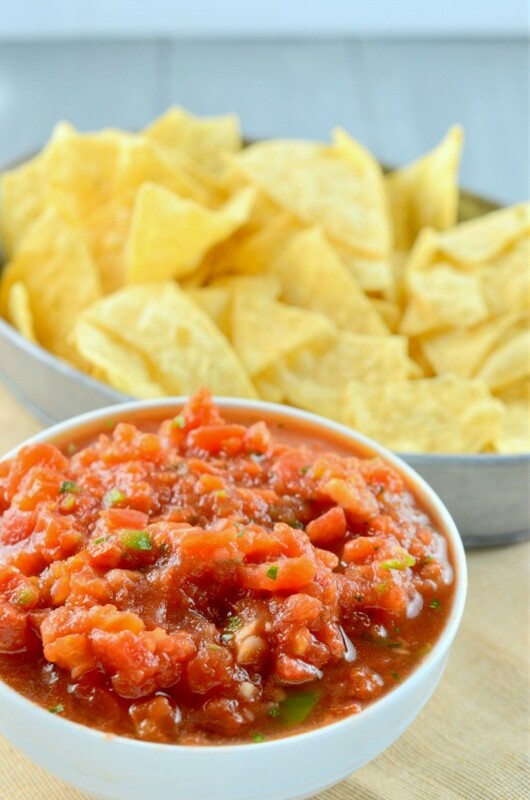 This easy condiment recipe isn’t for the faint of heart, but if you love habanero peppers, you will love it! Whether you’re looking to spice up your shrimp tacos or flat iron steak, this easy hot sauce recipe is for you. It’s hot and spicy. It just might make your eyes water, but God help me, I can’t stop putting it on All. The. Things. 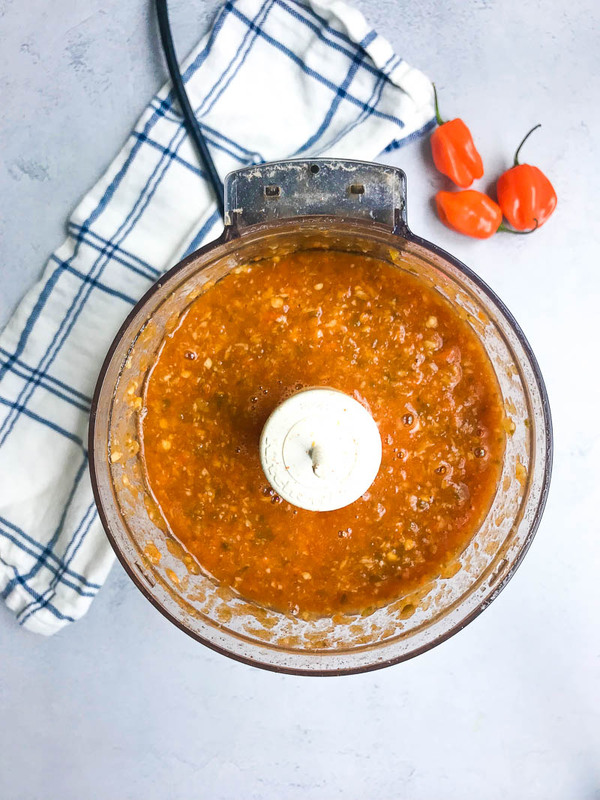 Homemade Habanero Hot Sauce is where it’s at, friends and I’ve got my recipe to share with you today. The story goes that I have been eating hot chile peppers straight out of the jar since I was 2 years old. I would have chile pepper eating contests with my dad over dinner. We often add jalapeños to pizza. I have several sriracha recipes on the blog. Heck, even when I was pregnant, spicy food was what I craved. With both boys, I practically drank Mrs. Renfro’s Habanero salsa. Yeah I know. Habanero salsa didn’t give me heartburn, but water did. Go figure. But honestly, I can’t get enough of spicy food. And spicy is just what this Habanero Hot Sauce is. And when I say spicy, I mean 10 habaneros spicy. That’s right. This beautiful bottle of orange peppery deliciousness has 10 whole habanero peppers in it. How do you make homemade hot sauce? Homemade hot sauce is pretty easy to make. 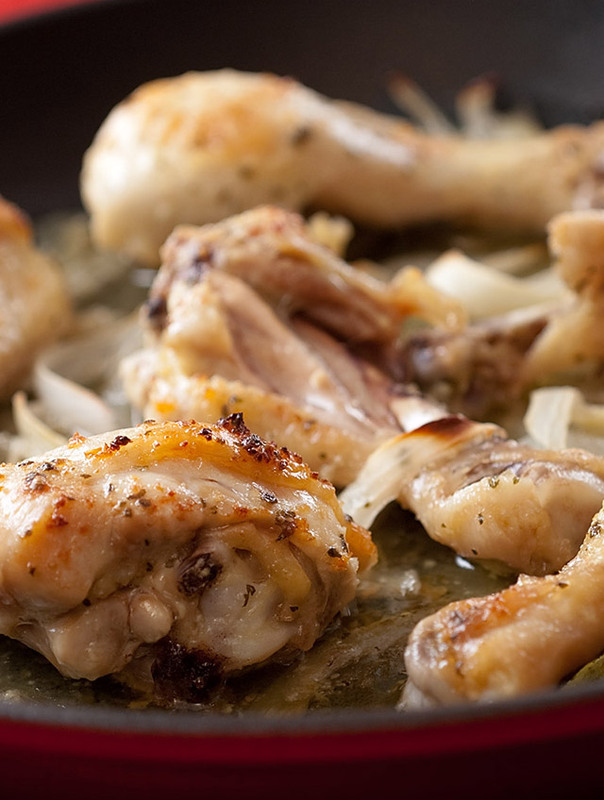 You simply combine all of the ingredients you want in a pan and simmer them for about half an hour. After the sauce cools, put it in a blender and blend until smooth. Pretty easy huh? When it comes to ingredients for homemade hot sauce the main ingredients are peppers, vinegar and water. The heat level you are going for is going to determine what kind of peppers you use. How hot is a habanero on the Scoville scale? Heat is measured in scoville units. Bell peppers are 0 – 100. Jalapenos range from 2,500- 5,000. Habaneros range from 100,000 – 325,000. Ghost peppers go from 855,000 to a whopping 1 MILLION units. I like heat but ghost peppers are a little too much for me so I stick with habaneros for this recipe. Other ingredients in homemade hot sauce include aromatics like garlic and onion as well as spices. To get the traditional reddish orange color some recipes call for carrots. Personally, I like idea of getting even more heat from something spicy so I add hot paprika to the mix. Like most sauce, hot sauce tastes better the longer that is has to set. I recommend waiting to eat it for at least 24 hours to get the best flavor. Now, what should you put habanero hot sauce on? Well I have been putting it on all kinds of things. A drizzle on my shrimp tacos. A dab on some steak. 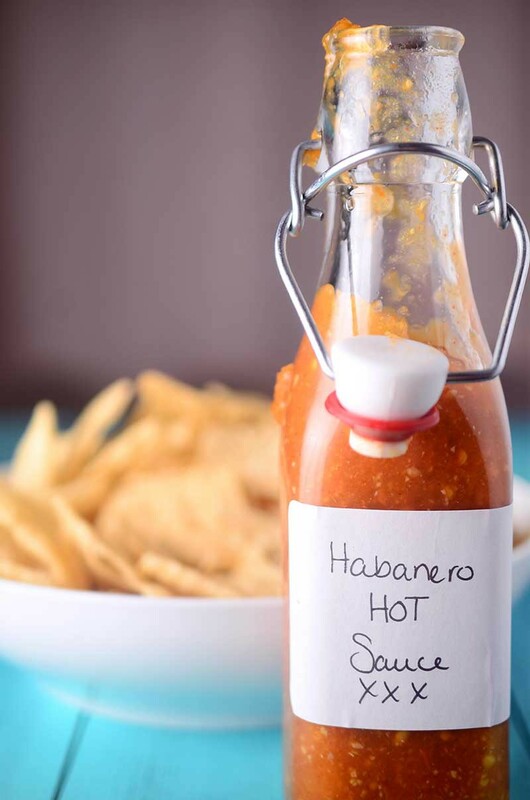 Heck, the other day when I was craving something spicy but was out of my Mrs. Renfro’s, I was straight dipping chips into this Habanero Hot Sauce. Yes, it’s spicy but it has an awesome flavor that I just can’t get enough of. So if you are a chile head, or there is one in your life, you need to make this. Pronto. 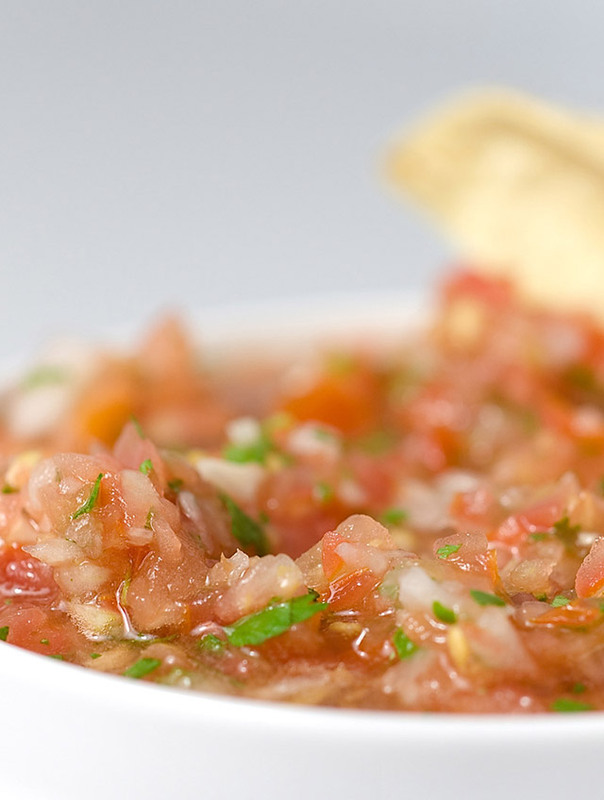 Can I use this habanero salsa to make chicken wings? This is a question I’ve been asked a few times so I thought I’d add answer it in the body of the post too! Yes! You certainly can. I have before. All you need to do is melt about 3 tablespoons of butter with 1/4 cup of the sauce. And then toss some crispy chicken wings in it. This should coat about 1 1/2 to 2 pounds of wings. If you’re having a party, or you like them extra saucy, you could easily double or triple the amount of sauce. How long does homemade habanero hot sauce last? When you set out to make this Habanero Hot Sauce (and you totally should), please keep in mind that the longer that it has to sit in the refrigerator, the more flavorful it gets. I ate this as early the next day and it was pretty good, but guys, it was way better about a week later. The flavors and the heat just taste better after they have had more time to develop. Trust me. The sauce will last in the fridge for several weeks. Combine all ingredients together in a small pot. Bring to a boil. Reduce heat and allow to simmer for 35 minutes. Remove from heat and allow to cool. Once cool, transfer to a food processor and process until peppers are minced fine. Sauce will be slightly chunky. Transfer to an airtight container and chill for at least 24 hours but it gets better and hotter with age. After 24 hours, adjust salt if desired. Use in a variety of dishes. Refrigerated sauce should last several weeks. Nutrition facts not guaranteed to be correct. This is different then the recipe I have but it looks better I will try it. My friend made this and she loved it! She sent it to me and I need to try it now that I see it again! That is great to hear Krista! This sounds amazing! I want to dive into my screen! This is seriously making me hungry! Wow! I’ve never thought to make the sauce from scratch before, but now I’m definitely going to try it because I know my husband would love it! Really wanted to print this recipe but says your site has been blocked from printing options . Oh no! I am so sorry to hear that let me look into it! Nice! My husband would use this on almost everything! The spicier, the better! Thanks for sharing the recipe so I can make my own now. I made this and my roommate who cant do spicy said it smelled so good that she had to try it. She loved the flavor even though it was a bit too spicy for her. I’ll probably make her her own batch with less habaneros. That is awesome to hear Wendy! And you can totally cut the spice down if you like, this recipe is great like that! The sauce is amazing ! Has great flavor an intense all at the same time. Our family has an addiction to this Sauce! I forgot to tell you, I’ve had my sauces in the refrigerator for over a year and they are fine. I mix up several kinds, some for gifts, but some to have as a variety. I have a couple now I made thirteen months ago. P.S. last year I made some with ghost peppers using half a pepper along with habanero and others. This year I had a bumper crop of Carolina Reaper peppers. The worlds hottest they say. Rated around 2,000,000 scoville units of heat. I’ll dream up a recipe for those. I like to use tobacco peppers as a base for most sauces as I like the flavor. Oh man. I don’t know what I would do with Carolina Reapers! You’ll have to let me know what you decide. There is a store here that sells them but I’ve never bought any because I don’t know what I’d do with them. I make many hot sauces too but I don’t cook anything. I leave them raw. I also use red wine vinegar and add liquid smoke. I’ll have to try one like that! Sounds interesting! Thanks for the recipe I have 4 plants and they are loaded I can’t wait to try. This sauce is great! I added a mango to give it a little sweetness. My husband and son loved it. I made this hot sauce this afternoon. 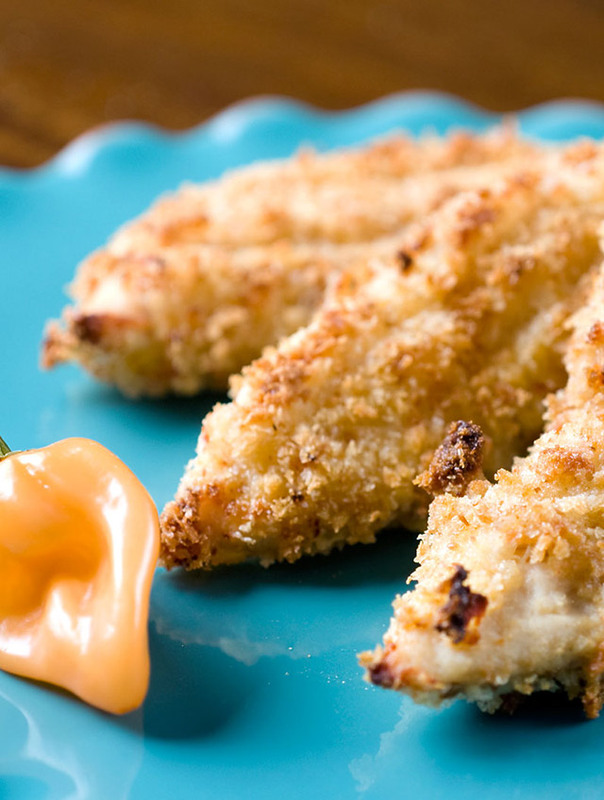 Super, super easy & DELICIOUS! So glad I found it. Thank you for sharing. You are welcome Shannon! So glad you liked it! I just made this today..but I substituted the jalapenos for 5 cayenne peppers because I give back to the community and volunteer on a farm and that’s all they had.. it tastes amazing. Thank you! You’re welcome! How nice of you to volunteer at a local farm and I bet those cayenne peppers added great flavor! Not sure if anyone has asked this, but is there any way one can make the sauce last longer so that it doesn’t ferment after a few weeks? I followed your recipe except I added one ripe scorpion and another beautiful red habanero (fresh from the garden ) in place of jalapeño. The recipe made one pint with enough residual sauce in the pan to pour onto a dozen or so tortilla chips, well YAHOO !!! Can’t wait to try this tomorrow after it chills in the fridge, very good already,thanks for the recipe. Fred the chili head. Fred- I bet those additions from your garden made for great color! I hope you enjoy the rest of the batch too! I had no jalapeños, so I added two more habaneros. Took a quick taste before putting it into the fridge. Yum! Good to know it works without jalapenos and extra habaneros! Dori- I don’t see why not! You might want to try freezing flat it in ziploc bags though. I just made a batch, and has great flavor. Only problem was all the liquid had simmered off, and it turned out like a salsa. I added more water, vinegar, and some Louisiana hot sauce to get the desired consistency. I will make some more for sure! Thank you for the feedback! I am happy to hear you were able to reach the consistency you wanted though! My husband would seriously go crazy for this! I would spread this on EVERYTHING! This looks totally awesome! Definitely make this! While my husband would absolutely love this! YES PLEASE! I have to make this so I can put it on everything! I love how easy this recipe is! I say bring on the heat!! I have never attempted to make my own. Can’t wait! how much butter for the wings? By the way awesome recipe i love the sauce. Did you leave the habanero and jalapeño seeds??? My husband and I love love love this sauce!!! It’s got amazing flavor and it is hot! It’s a staple in our house now. Evertime I make it I make a double batch and gift some. Everyone has either asked for more or the recipe! Great stuff! I came across this recipe last year when I was trying to figure out what to do for Christmas gifts for my sibs (I’m on a budget, but I also feel like homemade gifts are best anyway). I’ve always wanted to make my own hot sauce because we go through it at a ridiculous pace at my house, so I knew this would serve many purposes! Anyway, fast forward to today.. this is easily my 3rd or 4th double batch since Christmas because they keep asking for more…. the only change I make is that I use Fresno peppers in place of jalapeños (for a burst of red), and I add a splash of vegetable oil when I blend it just for a more emulsified effect. Love this stuff!!! I am so happy to hear how much you like this recipe, Candace! And I LOVE the idea of using the fresno peppers instead, I am definitely going to try that next time! Can I put this in canning jars in a boiling bath to preserve it? Hi Jean! I am not familiar with canning so I cannot recommend it. Sorry! Yes, I make Habanero & Jalapeno sauces every year. I place my jars in water bath and let it boil for 15-20 min. It lasts over 6 months. Thank you for your input Susan! I don’t have any canning experience, so I appreciate this! I also craved for very hot food during my 2nd pregnancy, and hot sauce was one of the very few things that did not make me sick. I added the ginger, and used apple cider vinegar. Great recipe! So funny that we both craved that! A lot of my friends are like HOW can you eat like that when you are pregnant?! I love your additions! I currently have this in the fridge for the next 24 hours and I am very excited! I have a habanero plant and this is the perfect recipe to use the delicious peppers in! So jealous that you have a habanero plant! I hope you enjoy the hot sauce! Oh let me know how it is! I wish I could grow chilies that get hot but here in the PNW I can’t get them as spicy as I’d like. 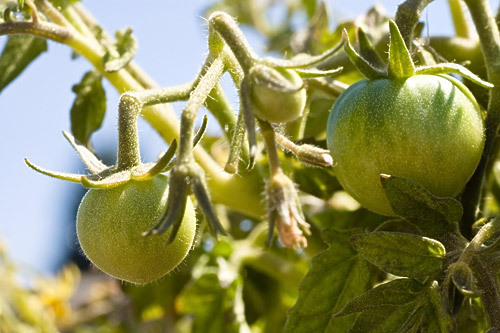 To increase the heat while Peppers are growing you need to withhold the water a few times until the leaves of the plant just start to wilt then water well. I usually do this three times in a row and it really works. Good luck! Donna- Thank you so much for the tip!! If anyone has to avoid onions of any kind (as I do), be assured that this recipe works out perfectly without them. If you think it lacks sweetness peel, seed, and puree a single pear and add it to the sauce. That is so great to know! Thank you Charlene! I have been looking for the recipe of this. I got hooked on it at a local restaurant and can’t find it anywhere else. I hope this is similar. I will make it and then rate it. This was the best habanero sauce I could find on the internet. I love those tips! Caramelized onions are always a winner in my book and fresh ginger sounds like a nice twist. So happy you liked it! How long will this keep? I made this Friday night, now on Monday night it’s almost gone. I just shared a little with friends to try, but besides that i ate almost 10 habaneros in 3 days. Im gonna make another batch, doubling the amount. Two things i changed was using half the garlic (i love garlic, but didn’t need too much in here) and instead of “hot paprika” i used ground Korean red pepper (used to make kimchi) because i didn’t want to buy paprika and I’m guessing it’s mostly for color. I thought it would be too much vinegar flavor, but i like how it turned out…thanks. I love this recipe :) Have made it several times now, sometimes adding a red capsicum (pepper) for bright colour :) Thanks so much! Now I know what to do with all the chillis I love to grow. I am so happy to hear you like it! And I’m going to have to try that red capsicum for color. I love that idea! Please pass all the hot sauce my way! I would happy drizzle this over everything! Oh my GOSH! 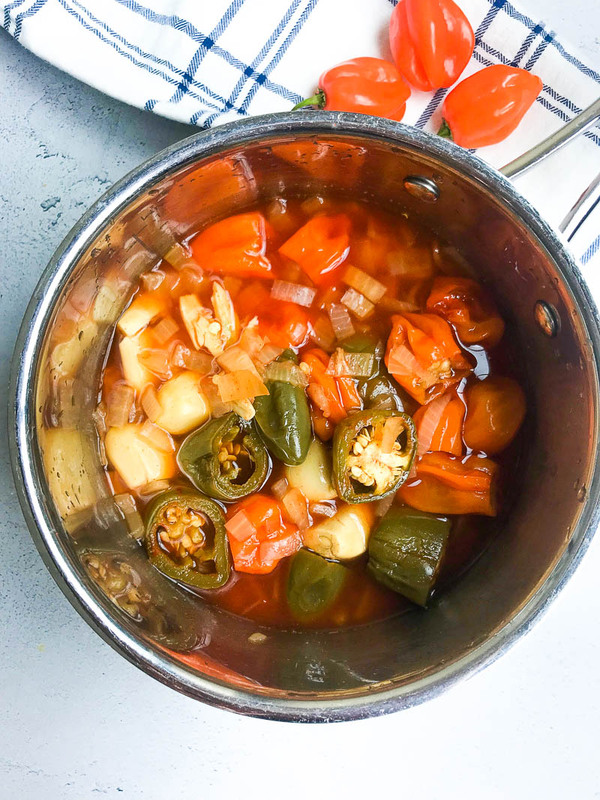 My husband will flip for this recipe…..he’s been wanting me to make my own hot sauce! Looks awesome! Oh boy this is the best. I know a few people in my family that would love to get their hands on it. YES!! I just started making my own ketchup and it has inspired me to make more condiments. :-) This looks PERFECT! I even have a bunch of peppers – hot ones – so I can try to make this tomorrow. Fantastic! I would love to have my own healthy hot sauce in the fridge. Thanks so much! Wow this looks so good, love this! I know we would LOVE this sauce – we always have hot sauce, on most everything! This is genius! My husband loves this sauce but we need to start making it at home now! This sounds SO good!!! 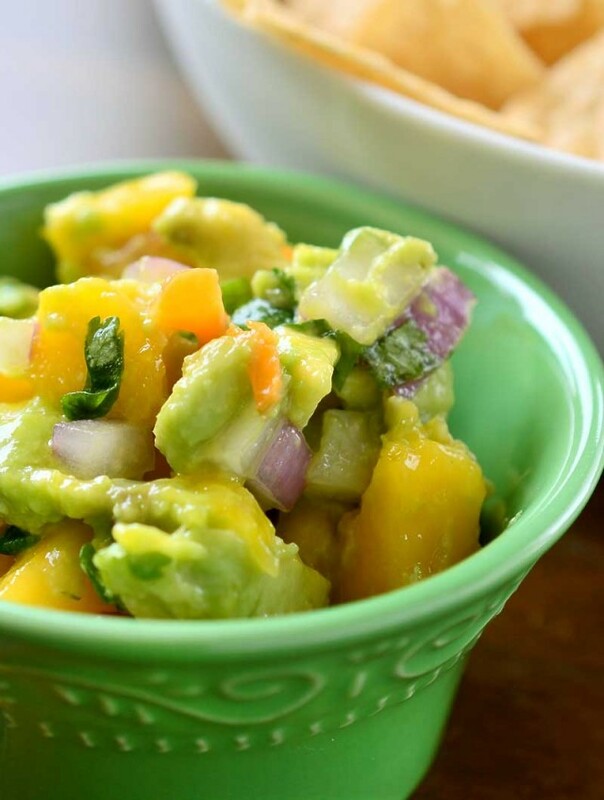 I love habaneros so I’m sure I’d adore this! You sound like my husband. He adores mind blowingly hot food. I should make this for him, he would be ecstatic.